Browse customizable logo Translucent Voyager Ballpoint Pens. 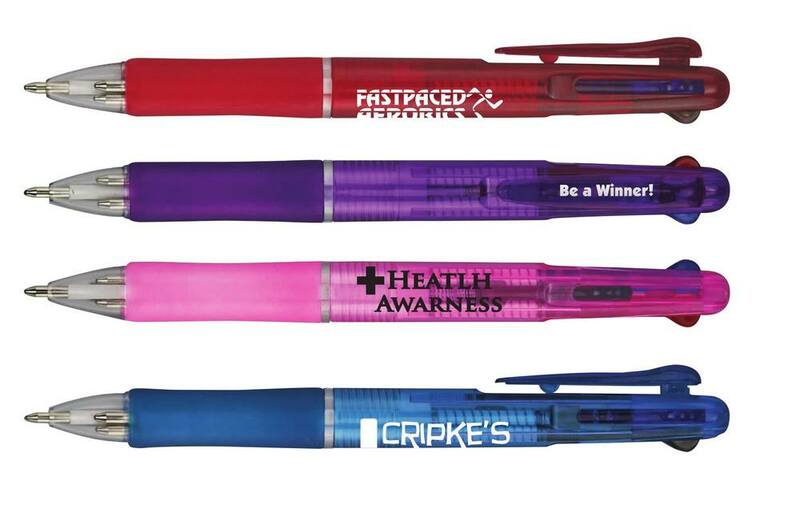 Personalized writing instruments are a great way to market your brand and impress your clients! Promote your brand in a simple, yet meaningful way by using the Translucent Voyager 3 in 1 Pen. 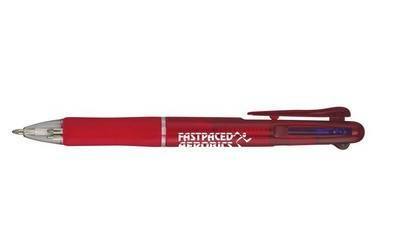 Imprint this pen with your company’s brand name, to raise awareness and popularity. 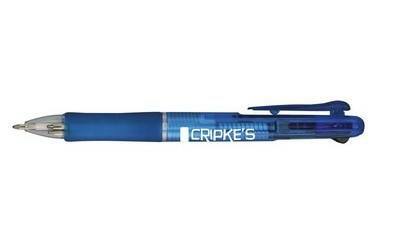 This plastic retractable pen comes with a translucent colored barrel. It features black, blue, and red inks. 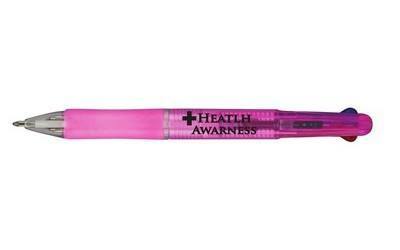 The pen has a clip for easy attachment; a matching rubber grip, clear ring and tip. 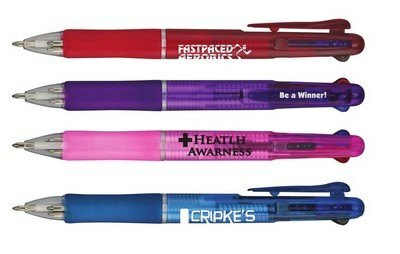 Give away the translucent pen at carnivals, conventions, and seminars, to gain widespread visibility for your brand. 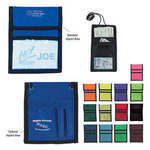 The Nylon Neck Wallet Badge Holder is made using 420D nylon. It has a business pocket outside and a zippered compartment inside.